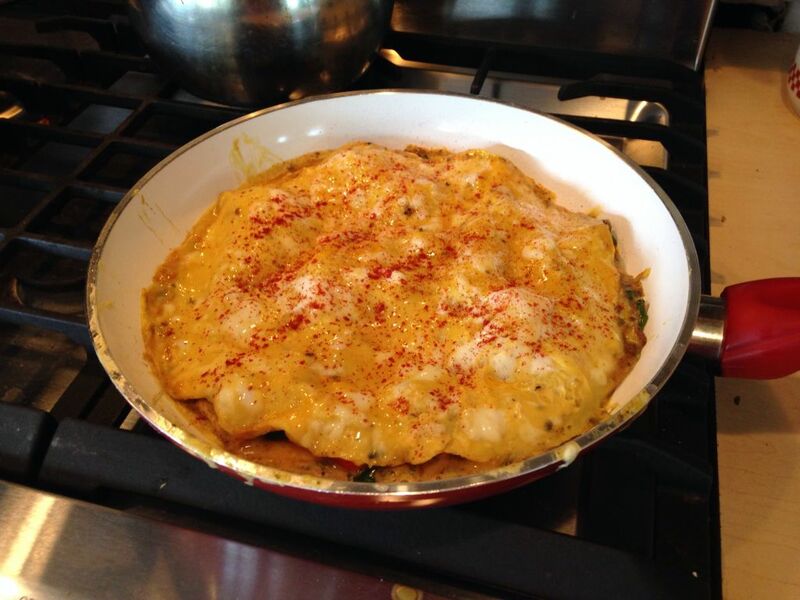 Whisk together the eggs, coconut cream, curry, dried oregano, salt, and pepper in a bowl. Spray a medium sized saute pan with coconut oil and heat over medium heat. 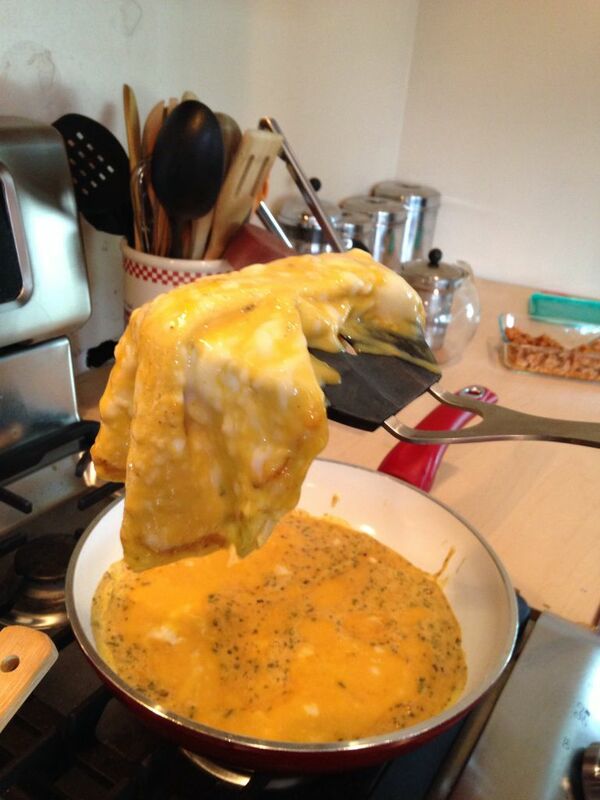 Pour the egg mixture into the pan and lower the heat. Cook until the bottom half to quarter inch is solid. Lift with a spatula, as shown in the picture below, letting the uncooked part fall into the warm pan. Hold the warm part in one hand, while scooping the veggie filling onto the eggs in the pan. 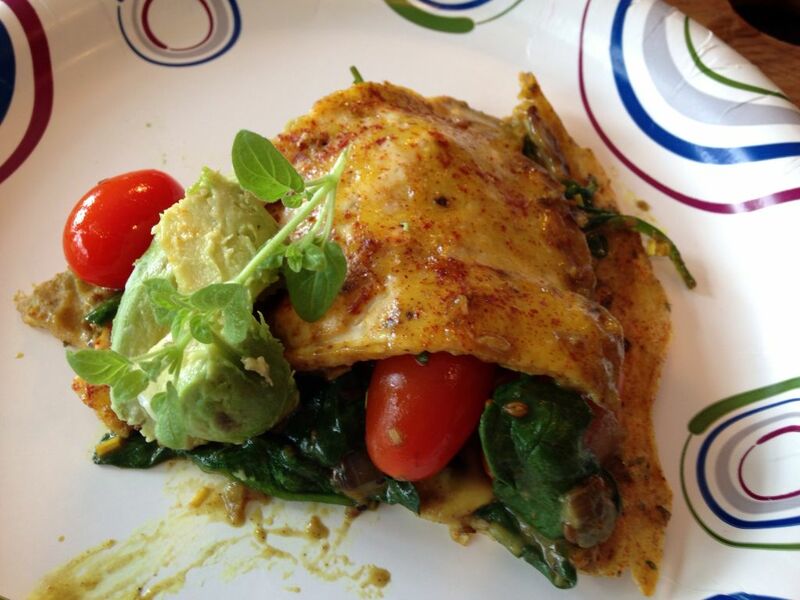 Place the top part of the eggs onto the veggie mix. Continue to cook, until the eggs set up. Make sure to keep the heat low, so you don’t burn the eggs! Sprinkle smoked paprika on the top, and broil to finish setting it up. Enjoy for breakfast, lunch, or dinner! 2 Responses to "Coconut Curry Veggie Omelette"